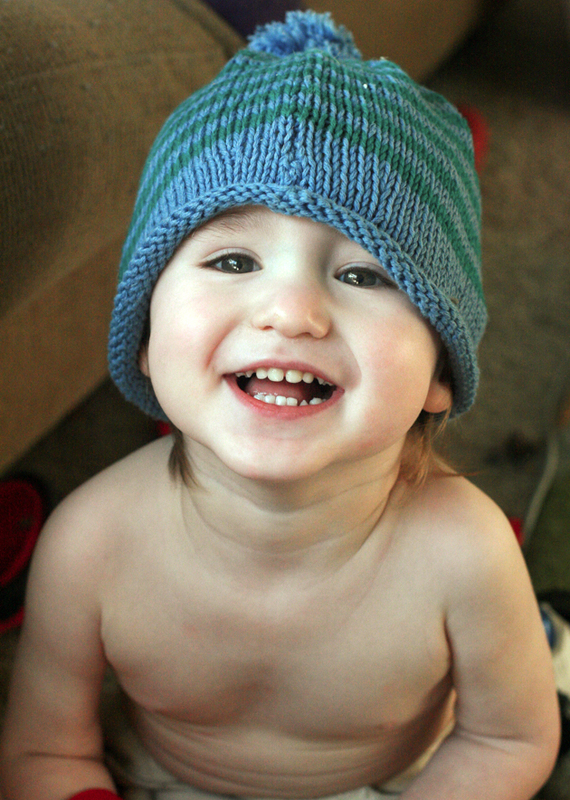 Alrik found the hat my mom knitted for Mikko as a baby. 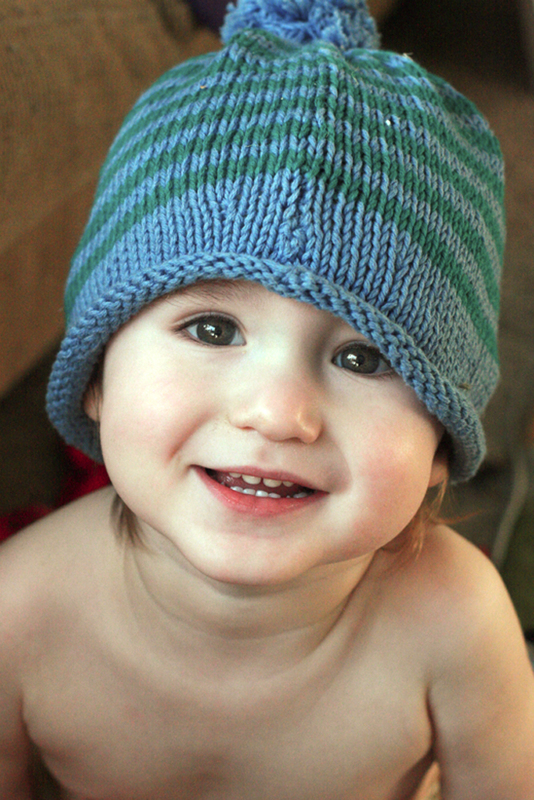 Mikko's sweater is still too big on this little guy, but the hat fits just fine, as he likes to demonstrate. 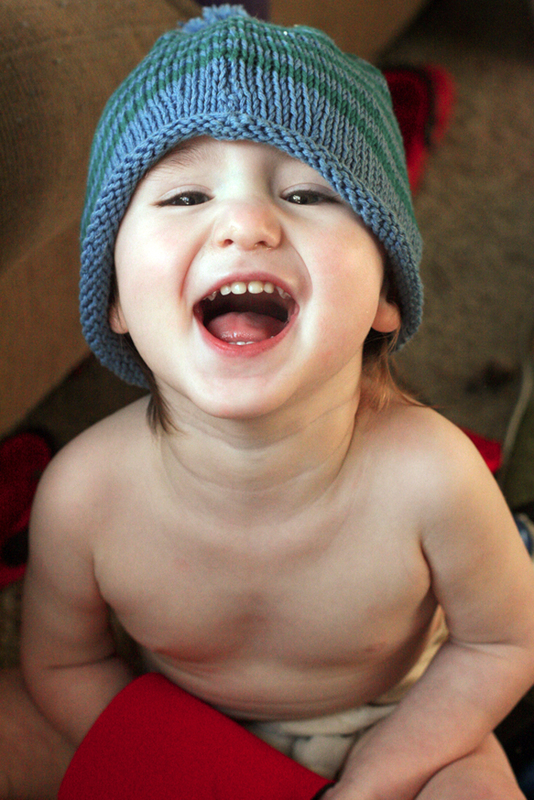 It's his new favorite accessory, no other clothing required. I don't always specify who takes what pictures, but I have to give Sam full credit for these photos. I saw how cute Alrik looked and was like, "Oo, where's the camera?" And Sam was like, "I'm way ahead of you." You'll also love photos on the charming topic of Refrigerator Art over at Natural Parents Network. Go have fun browsing the gallery! Adorable! 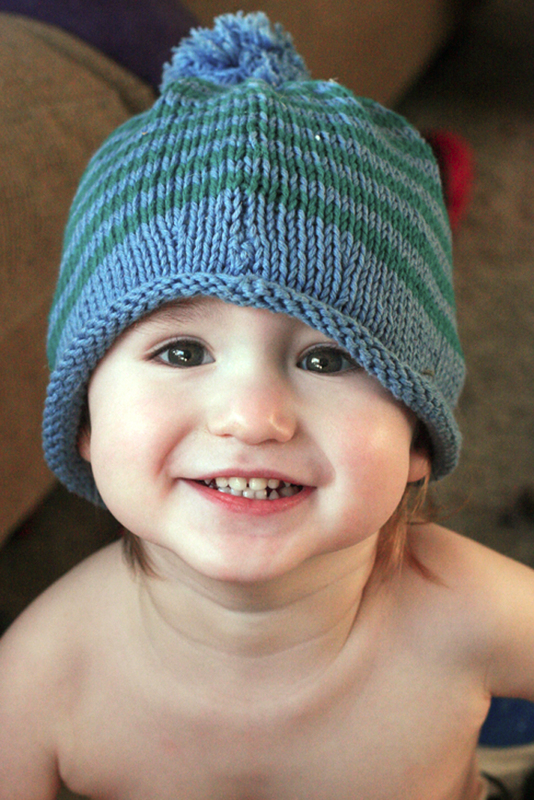 He has the sweetest smile! 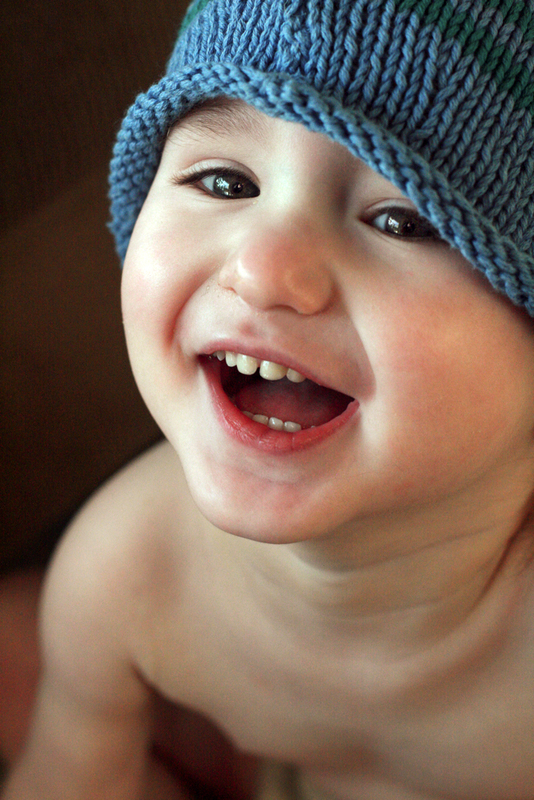 How cute he really seems to love that hat heheh! Real cool! The hat fits him so nicely. Thanks for hosting. He has a future in modelling ahead of him. He's always so styling. awww..he is just so cute and adorable!